Sledging in cricket has been in practice as old as cricket's origin itself but the spotlight is more now than ever. The introduction of social media and the involvement of the athletes along with the fans has brought in the deepest insights of what's happening and when it comes to sledging, fans just love it. The interesting face to face conversation or the verbal sparring between their admired heroes is what fans would love to see. Sledging brings out the real personality of an athlete and when it happens, fans are just drawn towards that action. But. does sledging have an impact on players as well? The answer would be a BIG YES. The act of taking the cool out of your opponent for your advantage on the field is what sledging is all about and the result is always intimidating. When somebody sledges you, you might get provoked and that's where your opponent plays the 'Clever game'. The on-going India tour of Australia has been a series with several sledging incidents between the two teams and the cricket fans are loving it, even though Steve Smith and David Warner aren't the part of Aussie Team. Team India wasn't sure about the new-age host nation on sledging. Starting the series with a high note, team India won the first Test by 31 runs and the Indian players were all confident about their upcoming matches. The second Test in Perth was something that sparked the notion of sledging into the series which was verbal sparring between the two skippers, Virat Kohli and Tim Paine. It all started when Tim Paine entered to bat on day 3, Kohli was heard saying " If he messes it up, its 2-0", to which Paine replied, " You've got to bat first, big head". The sparring continued and at one point it was Umpire Chris Gaffaney who had to make his presence in between the convo and say "That's enough, come on, play the game, you both are captains". The verbal sparring is something that would never end with matches rather it would ignite the momentum, something similar continued in day two, the third Test in Melbourne. Tim Paine was again the front face of the Melbourne banter which started when Rohit Sharma made his mark to the crease. Paine was heard chatting to Finch "If Rohit hits a six I'm changing to Mumbai" where he intended to say about his support to an IPL team. On the other side, Rohit Sharma didn't take the comments to heart and played a decent knock. Test cricket is a pure testimony of one's temperament and if a player would get distracted and try to respond to the banter he would land up nowhere and what Rohit did was exactly what a team want, not to bite. The sledging isn't player specific, Paine continued his sledging with Rishab Pant, Indian wicketkeeper on day 3 of the third Test. The sledging ignited in the second Innings of Indian batting. "Tell you what, big MS is back in the one-day squad too, we might get him down to the hurricanes this bloke, we need a batter" Paine was heard chatting on the mic. The dialogue didn't just stop there but Paine continued adding, "Fancy that Pant, extend your little Aussie holiday. Beautiful town Hobart too. Get you a nice apartment on the waterfront." Paine took it way too far when he asked Pant to babysit so that he could take his wife for movies. All these verbal sparrings had cricketing fans on their toes. What's rare and unusual is what sells and so is sledging. Apart from the game that we all enjoy, it's these moments that add life to the game. As fans, we all need a small bit of Entertainment and sledging gives the proper dosage of what a fan demands. 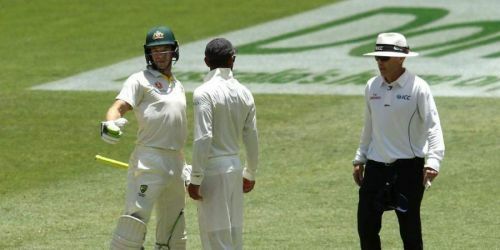 As cricketers, it's something that they have to be careful because sledging can sometimes backfire where the opponent can perform extremely well and we have seen many examples of it and the consequences can also get worse if the sledging goes beyond the line that is cricketers have to pay a hefty fine and may also be banned at extreme cases. 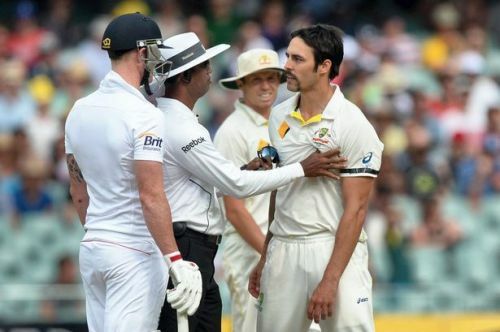 Cricket being a 'Gentlemen's Game', with all due respect to the sport, it no longer is. As we see a new generation take the centre stage with aggression and fast approach to the game, we can hardly expect them to not involve in sledging. The game is now global and is reaching new untouched regions with millions of people tuning in for the game as well as for their favourite player's social media updates. Social media platforms can only survive if the people stick to it and when it comes to sports, sledging can do it better than the scorecard because scores are everywhere. Finally, it's all about what people want from the game and also what players get from sledging. Sledging should never be prefered over the spirit of the game. The game today we see, live, love, enjoy and admire is the result of its spirit.